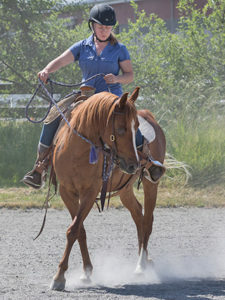 Redmond resident Jennifer Anderson has been named as the Save a Forgotten Equine’s February Volunteer of the Month. She was selected for this honor because of her infectious cheerfulness, her willingness to take on new assignments, including leadership of the morning crew, her work ethic and consistently positive attitude regardless of the weather, changes in farm protocols, or circumstances. When asked who her favorite horse is at SAFE, Anderson replied, “Only one? 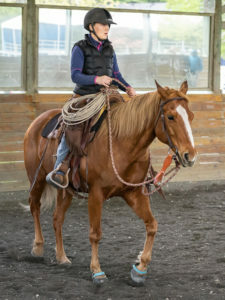 !” She loves several of the horses for their unique personalities. 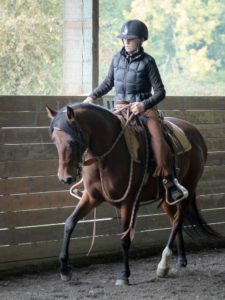 However, Nashville, an 11‐year old Quarter Horse mare, has a special place in her heart. 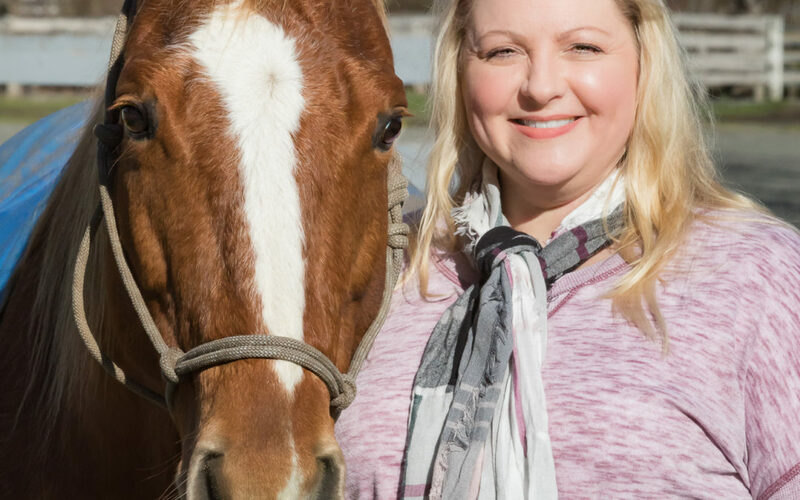 When she isn’t working her full‐time job or volunteering at SAFE, Anderson sings with the Redmond Chorale, is an avid reader, and enjoys wine tasting and spending time with her 13‐year old rescue dog, Cody.